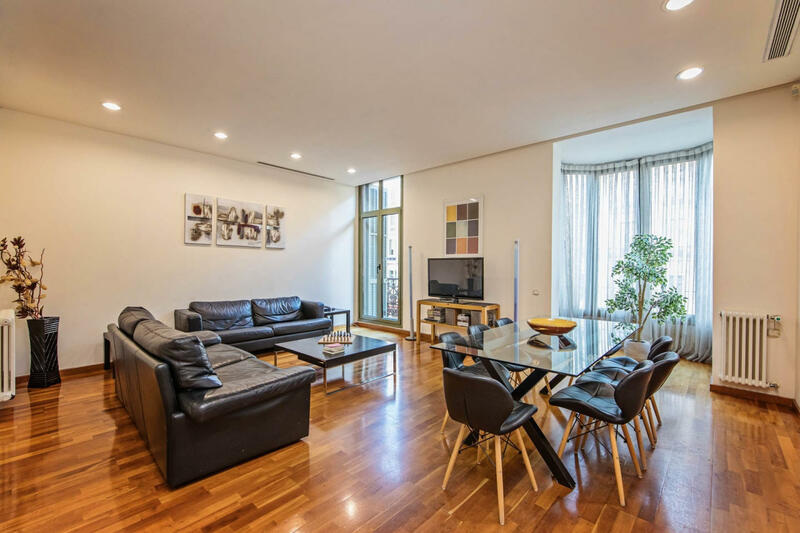 Located in a beautiful European style building in the bustling, central Plaza Catalunya neighborhood, this spacious 3 bedroom Plaza Catalunya holiday apartment is the perfect place to experience the best of Barcelona’s local culture. 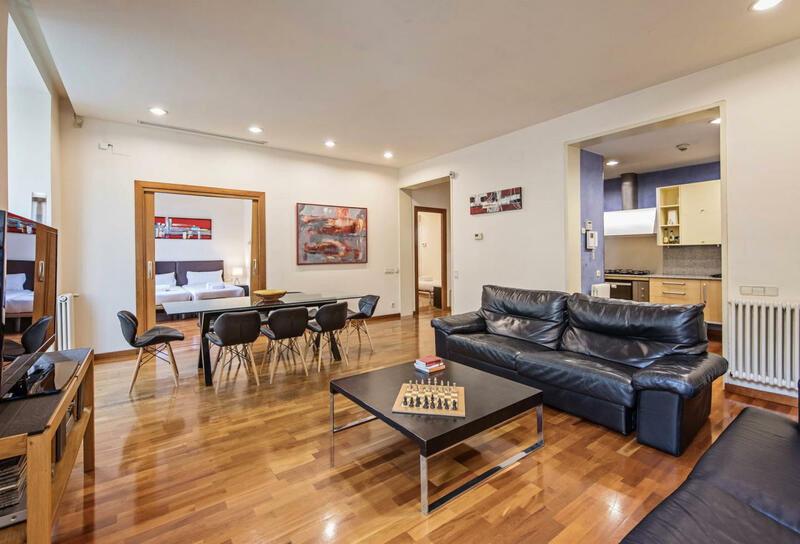 Just around the corner from the famous Plaza Catalunya, this central area is teeming with great shops, dining, attractions and museums. The Barcelona Museum of Contemporary Art (10 min), the Santa Anna Cathedral (5 min) and the Fountain of Canaletes (5 min) are a short walk and it’s easy to get around by bus (2 min) or from the Universidad metro stop (4 min). Inspired by the upscale exterior, our local interior designers have carefully chosen a blend of plush, chic furniture to accent the hardwood floors and tiled bathrooms. Large windows and high ceilings give the apartment an extra roomy vibe and guests will enjoy the great views from the outdoor balcony. A fully-equipped kitchen is perfect for making meals with fresh local ingredients. Premium amenities include free WiFi, cable TV, hotel beds and linens and luxury toiletries. 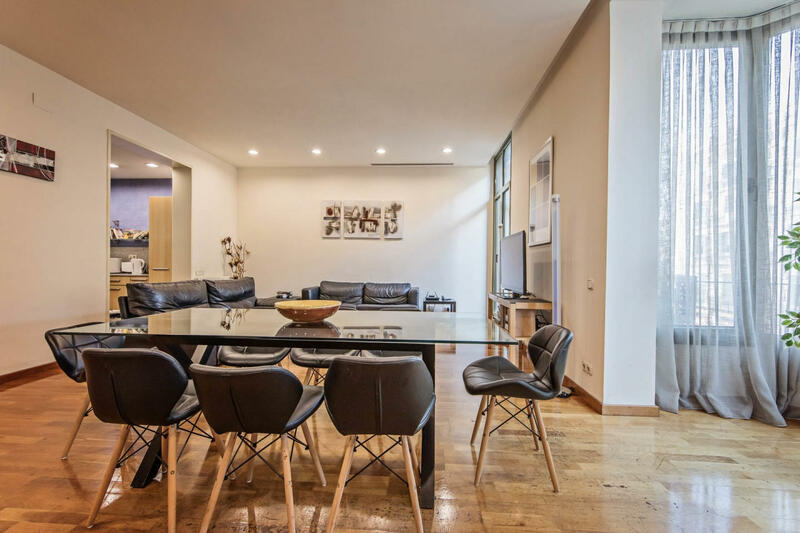 This lovely, light-filled vacation apartment in Barcelona’s best area is ideal for families or large groups of friends seeking a luxurious home away from home in the center of the city.